Mayor Matthew R. Larson of Snoqualmie: Tell Sister City, Gangjin, South Korea, That We’re Opposed to the Torture and Consumption of Dogs and Cats. Gangjin became Sister city with Snoqualmie in 2010. In Gangjin, there are countless dog farms, slaughterhouses, markets and restaurants where the dogs, who are tortured their entire lives, end up being slaughtered in the most inhumane ways, such as by electrocution, hanging or beating; and then thrown into boiling water – sometimes while they are still alive. In many places, dogs are being killed in full view of other terrified, caged dogs; and this takes place in public and in broad daylight. In addition, many abandoned and stolen former pets end up in this industry, and are subjected to the same cruelty. 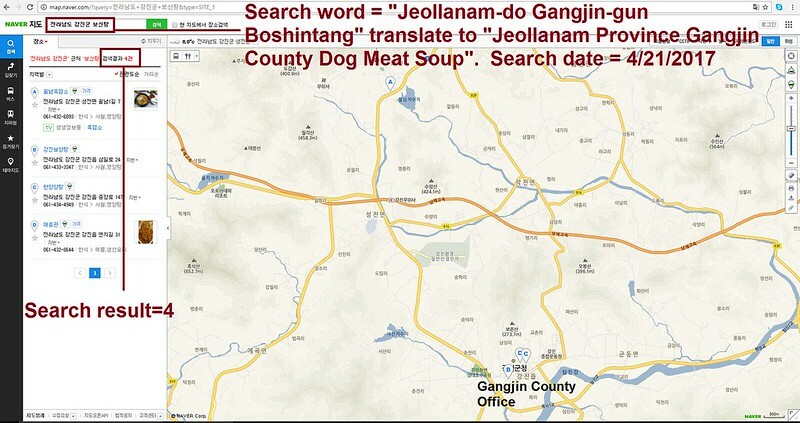 A Search Engine reveals the sickening scale of Gangjin’s dog meat demand. 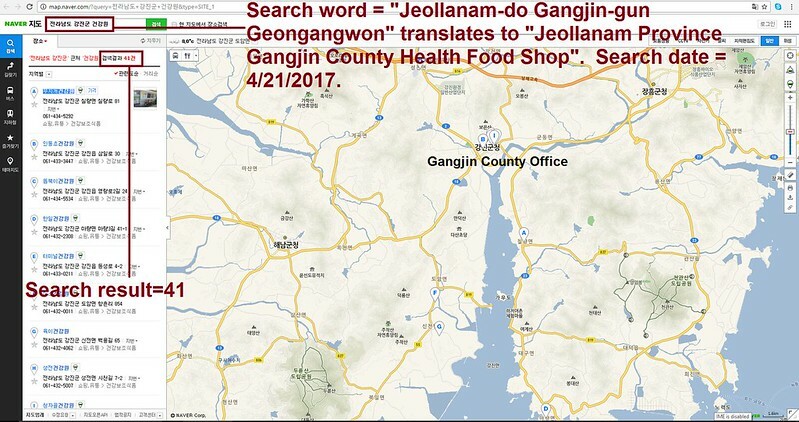 The searches resulted in: 41 Health Food Shops; and 4 restaurants in and around Gangjin. Even if half of these ‘Health’ Food Shops and restaurants serve dog and cat ‘ingredients’ in one form or another, just imagine how many dog/cat slaughterhouses must be present in and around Gangjin in order to supply all of these outlets. Please sign petition, call, write and email the Snoqualmie Mayor TODAY! We ask you to please watch the videos of South Korea’s dog meat industry: http://youtu.be/3uR8R8Mu70Q, http://koreandogs.org/horrible-reality-of-meat-dog-farms-you-did-not-know/, http://koreandogs.org/dmp/. Hello, I’m calling to speak to someone in the Mayor’s Office to ask for their help on an important issue regarding your sister city, Gangjin in South Korea. If I could explain: dog-meat consumption is currently being practiced in that county, regardless of the fact that it is illegal under South Korean Law – but the laws are not enforced. The dog and cat meat trades involve extreme and widespread animal cruelty, and the animals suffer unimaginable pain and distress. They cannot speak for themselves which is why I am calling on their behalf. And, I believe that your city would wish to be made aware of this issue, as they would not want to be affiliated with a city where illegal and immoral torture is being carried out on any animal, and particularly not on ones that are loyal, trusting creatures, which look up to us humans as their guardians. So, I am asking you to please speak with your counterparts in Gangjin to urge them to enforce their own laws, not ignore them, and to show compassion to their companion animals, and also respect to their own citizens, by bringing these trades to an end. No matter where you live PLEASE SHARE these actions with your friends – especially those who live in Snoqualmie! Write their FB page RIGHT NOW! This is my comment below it. Please join me in warning these apparently clueless parents in Snoqualmie!!! As you might know, there is a culture of horrific cruelty (or at the very least callousness) toward animals in Asia. There are countless videos specifically documenting the pain and wretched misery suffered there by dogs and cats — animals just like our beloved pets in the West, but trapped in a nightmare of deliberate cruelty. Are the friendly, animal-loving citizens of Snoqualmie aware that South Korea cruelly hangs, beats, electrocutes, drowns, burns or boils to death MILLIONS of dogs and cats every year? Do you know that Korea’s popular annual BOKNAL Festival is coming up in July, dedicated to killing and eating many thousands of dogs in the mistaken, medieval belief that eating dog meat helps a person withstand summer’s high temperatures..? Do you think that Snoqualmie should be a Sister City to any city or nation that allows dogs and cats to not only be eaten as food, but deliberately tortured to death? Do you want to do business with people who drown millions of cats to make a useless “health tonic”? In this case it’s not “snake oil”, this idiocy is known as “Cat Soju” — and there is also an equally deplorable and sadistically manufactured “Dog Soju”. Neither “product” does anything but produce pain and endless suffering for the innocent creatures trapped in this horrific industry. PLEASE urge Gangjin Mayor Jin-Won Kang to close down all of its dog farms and slaughterhouses, markets, truckers, and restaurants that serve these animal products. In short, how can beautiful Snoqualmie – home to eco-conscious, animal-loving citizens – join hands with these callous slaughterers of beloved pets?!?! This responsible consumer is boycotting everything Korean until these two-faced sadists finally prohibit this horrific industry and actually put a STOP to it. Case in point: S. Korea has made a few strides toward the 21st Century and implemented new animal welfare laws. But they carefully EXCEPT the sadistic and profitable dog and cat meat industry. I’m boycotting all things Korean, including their upcoming, precious-avaricious Winter Olympics in PyeongChang in 2018 — and I guess I won’t be visiting Snoqualmie now either, until compassion means more there than cold, cruelty-based cash.